On June 20th, the rural NY community of Philipstown held their weekly town hall meeting. The topic of discussion this time was a bit peculiar: the submission and processing of applications for Land Use approvals for “Vape Shops” within city limits was on the docket (Law #3/2018). By the end of the session, Philipstown banned vape shops. Why was a small Putnam county town, with a population of less than 10,000 residents in 2016, fretting over new vape shops in their area? 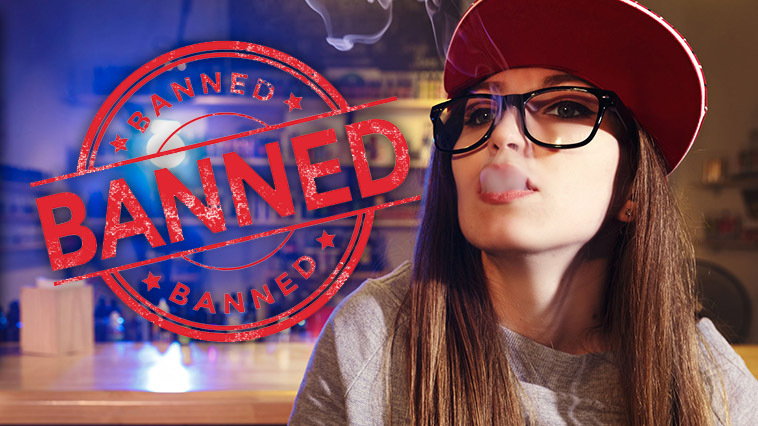 As it turns out, vape bans have been a hot topic in the immediate area for quite some time. In the neighboring County of Westchester NY (976,000+ residents in 2015) Lawmakers proposed a bundle of new rules aimed towards current tobacco and e-cig users, with hopes of making it harder for current smokers trying to quit to access the products they needed. The new vape laws looked to increase the minimum purchasing age from 18 – 21. Around the time of the Westchester vape law proposal, Putnam County health commissioner Allen Beals discussed the possibility of new legislation similar in nature (March 18th, 2018). The Rockland County Department of Health (326,000) decided to increase to minimum purchasing age to 21 as well; while choosing to opt out of an indoor vaping ban. It should be noted that there are currently zero vape shops located in Philipstown. The townhall meeting also had a total of two people in attendance. By the time the meeting adjourned, a new six month moratorium on new vape shops in the area was on the books. Even more ominous? Six months could turn into forever. So, what is fueling this legislative onslaught? The latest trending topic of 2018: Underage Vaping. Counties, including Putnam, are looking to protect their youth from the dangers associated with e-cigs. Philipstown feels that allowing vape shops in their community would not increase the quality of life. There has been little-to-no evidence presented demonstrating the effectiveness of age restriction laws on tobacco purchases. One could even argue that by limiting access to life saving vapor products, youth addiction rates would actually increase. 3,200 users will try their first cigarette in the U.S. each and every day, so removing healthier alternatives from the list of nicotine delivery options will likely boost addiction numbers — and send all health risks connected associated with tobacco dependency through the roof. New vape shops are a source of clean, stable, source of revenue for any town, small or large. Brick and Mortar (B&M) locations provide an alternative to current smokers looking to make the switch, and offer a ‘new age’ option for teenagers looking to break the trend set by fellow classmates over the last century. Philipstown residents looking quit the icky sticks, will now be forced to drive to a different county entirely, or order their electronic cigarettes online. A 6-month ban on vaping may not sound like much; but 180 days (+/-) without easy access to healthier alternatives can be detrimental, especially for youth age groups. So the next time your town hall holds a meeting, don’t be afraid to ask for a copy of the schedule!